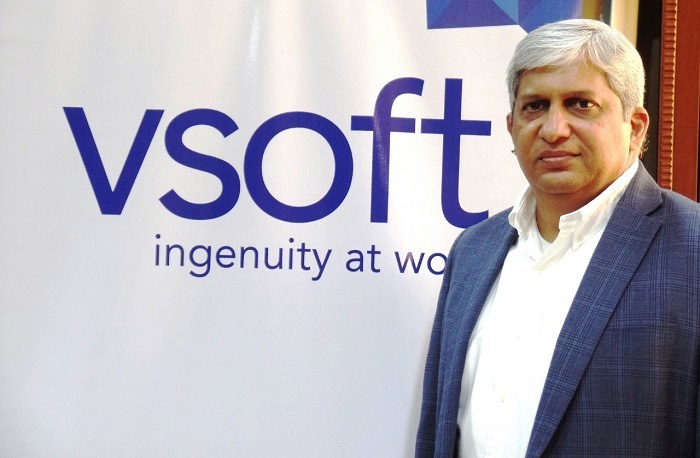 VSoft Technologies, a global provider of information and technology solutions for financial institutions, has introduced a unique Contact Center services to its Indian customers. The Contact Center follows a unique model that combines three different modes of communication – Interactive Voice Response Systems (IVRS), Computer-Telephony Integration (CTI) and Agent Interface Software System. A Voice Recorder or a Logger is being used to improve customer service, increase security, compliance, etc. Service Requests including the Status of cheques sent for clearing, Green Pin Generation for ATM Cards. Setting of Transaction Limits for ATM and other Channels etc. VSoft Technologies is on a major expansion spree and has almost doubled its employees in the last five years. The company has moved into new office premises (DSR Inspire Building) in Madhapur and operates with over 800 employees in Hyderabad and another 500 employees operating from offices located across the globe. The new office premises also houses Data Center, which not only enables data storage and processing of its core banking customers, but also supports critical internal functions such as processing of over 9 lakh cheques per day. VSoft Technologies have achieved significant accomplishments in the recent past. It has been ranked among the Top 100 Financial Technology Companies in the world by the International Data Corporation (IDC) in 2018. Johnson Controls-Hitachi Air Conditioning India Ltd., manufacturer of India’s 3rd largest selling air-conditioner brand ‘Hitachi’, recently launched its latest range of energy-efficient and expandable Inverter AC solutions in the capital. Bajaj Finserv offers a substantial Business Loan for CAs of up to Rs. 35 lakh, so you can finance the purchase and installation of such software without breaking into a sweat. Web Werks, a global leader in Data Centers and Cloud Services, has been named a winner of the prestigious Economic Times - Best Brand of the Year Award 2019 for providing Best Data Center and Cloud Ecosystem. Money Loji, a modern money ending platform, has launched its App, which offers Quickest and the most secure loans to salaried professionals for an immediate requirement with flexible repayment options starting from 7 days to a maximum of 90 days. They follow a unique three-step process - Application, Approval, Disbursement which is carried out within 3-4 minutes. TAVR or Transcatheter Aortic Valve Replacement, a percutaneous procedure, was successfully performed at Apollo Hospitals, Navi Mumbai.